You're the winner! Play five all time favorite casino games right at home, on your own TV - Black Jack, Texas Hold'em, Roulette, Craps and Slots. The game handset simply plugs right into the TV. 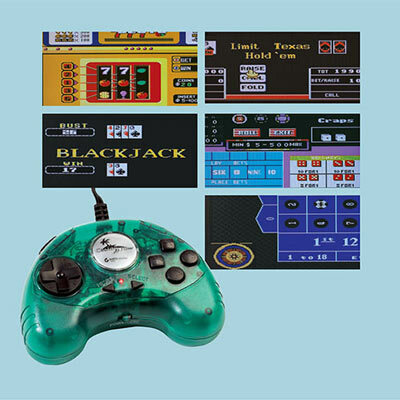 This 5-in-1 Casino TV Game uses four AAA batteries, not included. 6"w, with 5' cord. Hurry! Quantities are limited!